35-year-old Hutch was killed outside his home last week. A WOMAN IN her 40s will appear before a court this morning charged in connection with the murder of Gareth Hutch. The woman will appear before the Central Criminal Court today at 10.30am. Two other people who had been arrested in connection with the murder remain in Garda custody. 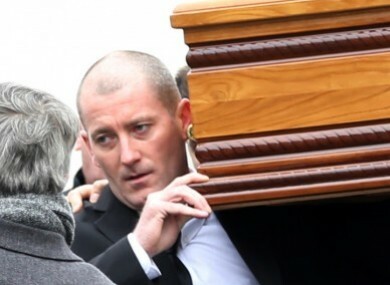 35-year-old Hutch was killed outside his home in the Avondale House flat complex on Dublin’s North Cumberland Street in Dublin’s north inner city last week – the latest victim in an ongoing feud between the Hutch and Kinahan crime gangs. Two men approached him in the car park of the complex as he was entering his car. A number of shots were fired and they attempted to leave the scene in a black 5 series BMW, with the registration 02 D 39051, but soon after got out and made their escape on foot. A man handed himself into gardaí soon after in relation to the shooting – but he has yet to be charged. Email “Woman to appear in court in connection with the murder of Gareth Hutch”. Feedback on “Woman to appear in court in connection with the murder of Gareth Hutch”.